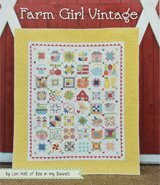 I was inspired by a wall hanging in Australian Patchwork and Quilting magazine in late 1998 or 1999. It had three snowflakes that I adapted, and I enjoyed making them so much, I kept going, designing all the rest myself (a total of 42) The blocks are 12 in. 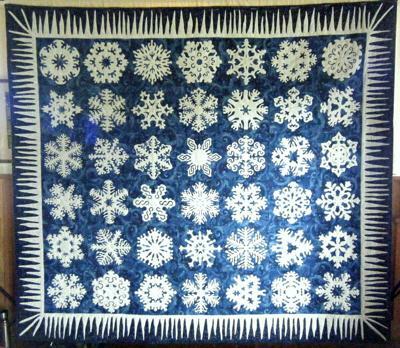 finished, I tacked/basted all around each snowflake, needle turned them onto the background, then hand quilted around each one at the end, so I have been round each one three times! I machine pieced the blocks and borders together but all the applique is hand done, as is all the quilting. I was averaging one block a week during the last few months of 1999, and then my marriage broke up (That is where the name of the quilt comes from), and I moved from the UK to Ireland. I kept going with the blocks, managed to make all the icicles for the border, but then got stalled with the quilting. I had intended to machine quilt, and started with an all over design, but didn't like it, so I unpicked it all, and began to hand quilt. 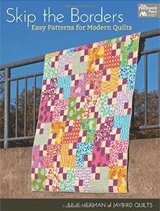 Between those two versions of quilting were a few years as I lost heart in it for a while. Once I made the decision to unpick the machine quilting, work went better, and I finished it about 7 years after I began. Interesting that every project has its own time line. Glad you finished it, what an accomplishment! And lovely as well. I used triangular graph paper, folded into 6 to design each snowflake. It may look cold but I'll bet it's warm underneath. I love the fact that you stayed with 6 sided snowflakes. There are so many instructions about cutting out snow flakes that lead to 8 armed snowflakes. It took a second look to take in the ice cicles (argh! I'm not sure how to spell it.) in the border rather than long narrow triangles. Congratulations. 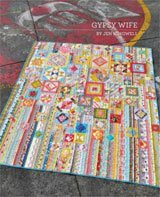 I have made 35 quilts over the last 15 years and I keep a journal but I hate giving them a name. This quilt is nameded perfectly and it is stunning. I hope you found the comforter you deserve. 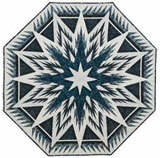 Wow... this inspires me to become a better quilter. It is beautiful! 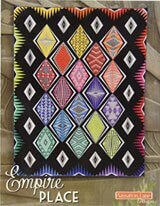 This is a stunning quilt! I hope it gave you the comfort you were needing. It is truly beautiful and inspirational. I'm sure there must have been great reward when you completed it. This quilt is beautiful and inspiring and more so, by the length of time it took to complete it. I also have undone work that I was not satisfied with (about 1/3 of the time I am undoing my stitching/sewing). Thanks for giving me encouragement to never give up on a quilting project!